Sunday Studio is MOCA’s free, drop-in event featuring art activities for makers of all ages and experience levels. The program include family-friendly tours of the museum, art-making explorations, music, food trucks, and Toddler Town, a space with activities designed for small hands. Inspired by the exhibition One Day at the Time: Manny Farber and Termite Art and the Southern vernacular architecture explored in the work of artist Beverly Buchanan, architectural designer and SCI-Arc professor David Eskenazi will examine simple dwellings, identity, and collective memory. 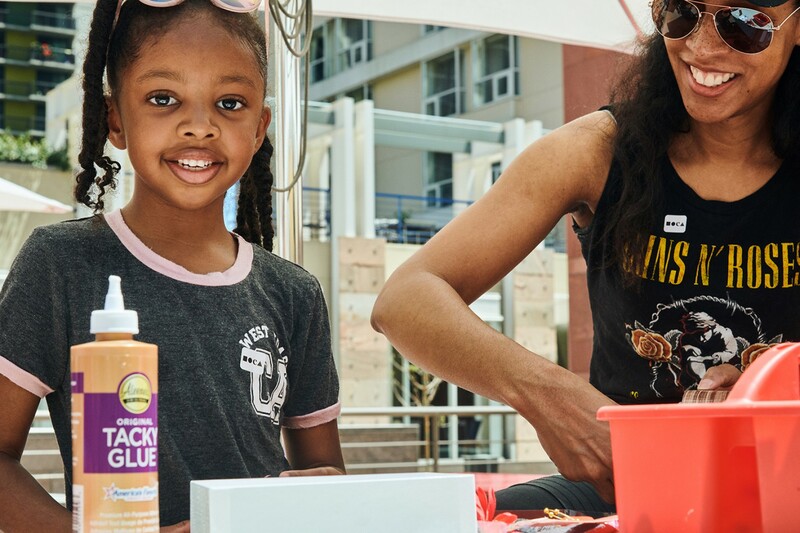 Sunday Studio is MOCA’s free, drop-in event featuring art activities for makers of all ages and experience levels. The program include family-friendly tours of the museum, art-making explorations, music, food trucks, and Toddler Town, a space with activities designed for small hands.